To create a courseware on Elearning, it is very vital to make the content understandable to the learners and to draft a clear objective of the entire process. It is necessary to have a standard objective for the course along with some innovative elements to make the content stand out and enrich the learners in the best possible manner. While building elearning courses, the general rule is that there has to be a page that states the learning objectives. It has been so from the very beginning. On top of that many organizations require that each course have an objective screen that has an explicit list of learning objectives. In a simple sense the purpose of the objective is to communicate why the learner needs the course and what they will learn or be able to do afterwards. We start at point A and at the end of the course want to be at point B. 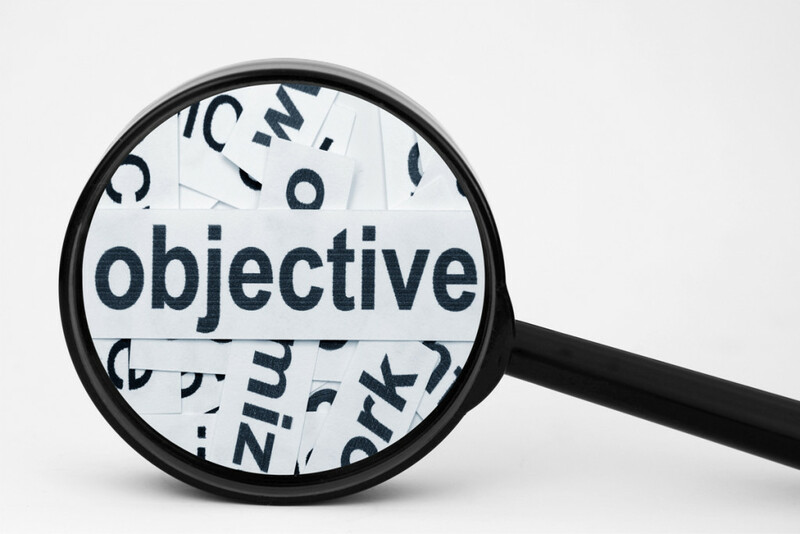 The easiest thing to do is create an objectives screen like the one above where you tell the learner what the objective is and what they should learn. But that is not the only way to present the objectives of the course. It also may not be the most effective way. And, it is definitely not the most interesting way. Though it is generally considered that having the learning kit is an essential element of getting into elearning experience. This can also be done better by appealing to the emotions of the learners rather than providing with a bunch of information. Often we focus on the cognitive part of learning which is all about knowing. But we do not focus enough on the emotional aspect. What motivates someone is subjective and tied to their emotional awareness. So creating an emotional connection to the content may be better than just a cognitive connection, especially at the forefront where we want to hook them. Instead of providing the learners with a standard list of objectives, there has to be something more emotional that matters to the person taking the course. It is not just information; it should feel like a matter of life and death. Extra steps must be made to make it more personal. This is not about some check mark to indicate completion. A lot more can be done to flesh out the scenario, but keep it simple on purpose. You can build something even with limited resources and time. It is very important to make the learning more interactive and friendly and not just include a set of few images, text, and some audio. Learning is a complex process and part of it is to connect with the learners in a meaningful way. Appealing to them emotionally is one way to do that. So the next time you build an elearning course, see if you can replace the bullet point objective screen with something different. Even if you cannot replace it, you can still innovate to capture the attention of the learners.